The Shelter Animal Reiki Association was founded in 2008 by Kathleen Prasad (who is also the founder of Animal Reiki Source and the featured practitioner in the first Reiki post here on AWG) and Leah D’Ambrosio, Animal Reiki practitioner, Reiki teacher and a volunteer with the Humane Society Silicon Valley. Kathleen and Leah started SARA to help educate the public about energy healing, and their goal with the organization was to create a standardized method of practicing Reiki in shelters, support Reiki practitioners who do so, and to be an informational resource and referral base for anyone wanting to practice or incorporate Reiki in shelters. And one major goal was of course also to increase adoption rates. As we all know, a shelter is a very stressful environment for an animal, and in addition to that, many come from a background of neglect and/or abuse, and are understandably not very trusting of humans, which can make them them difficult (sometimes impossible) to put up for adoption. Reiki helps them heal from their emotional traumas, learn to trust again, and eventually (hopefully) find a new forever home. SARA has steadily grown and expanded, and today, they have a large staff of volunteers and collaborate with over 20 shelters, rescues and sanctuaries in the US, Canada and England (more on England further down in the post). Most of the volunteers teach Reiki both to shelter staff and the general public, in addition to working directly with the animals. I think this is such a wonderful idea and organization, and I contacted Kathleen to ask if she would be up for being interviewed once again, and she was! Kathleen, how did SARA come about? How did you come up with the idea? The idea was in my heart for a long time: to find a way that more and more shelter and sanctuary animals could have access to Reiki. It wasn’t until I met Leah at one of my Reiki classes that it started to manifest. Leah is an amazing business partner and her energy and determination is a big reason why SARA is as successful as it is! All our members are volunteers at their various local animal organizations, all sharing the passion of bringing Reiki to the animals who need it most: shelter and sanctuary animals. We have created a pretty extensive curriculum for our teachers and practitioners (whom we consider to also be community educators) to use. It helps because we are all on the same page, teaching and educating with the same material, no matter where we live. We meet via teleconference once a month for professional development, and these meetings often include guest speakers that help us to learn and grow our skills. What happens when a new shelter joins the program? How has the feedback been from the shelters? We have received wonderful feedback from the staff and volunteers that observe the work that our members do with Reiki. Often at first, they don’t really understand what Reiki exactly is, but usually within just a few months, they are totally on board – the Reiki can really speak for itself in how the animals show wonderful improvements. One of your goals was to create a standardized approach to implementing Reiki in shelters – what is that approach? The main tenets in the approach that I have developed for SARA are first, allowing the animal to choose and lead each treatment – in other words letting go of our human ideas of what is best or what the animal “should” do. And second, not relying on hands-on contact – in other words, being comfortable with working hands-off with the animals, unless they choose otherwise. There are also some mental guidelines for us as practitioners, for example to do our best to remain positive and grounded, no matter what health situation the animal may be faced with. 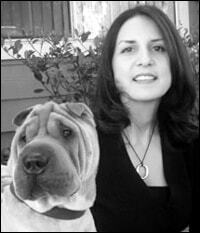 Who decides which animals will receive Reiki, is it the practitioners or the shelter staff? It depends on the facility. Sometimes when a practitioner arrives to offer Reiki, the staff will already have a list of animals that need it. Other times, practitioners will go around the shelter and just work with the animals that they feel “moved” to work with, so to speak. Do you do Reiki differently when working with shelter animals than when working with somebody’s pet? What are some of the challenges you might encounter when offering Reiki to rescued animals? A lack of trust for human beings is the main challenge. A big difference is that an animal that has a loving home may be more confident and socialized, and less stressed. I say “may” here because sometimes the animals we love experience health challenges (physically or mentally) that may cause them to also become very stressed. 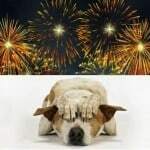 But on the whole, you will find more stress at a shelter, and sometimes the animals are completely shut down, not wanting to connect because of past abuse, abandonment, severe health problems, etc. So the goal is to be so open, flexible and gentle with our approach to them, that they build the confidence and trust to be able to open to Reiki healing. Really, the more passive you can be when offering Reiki, “being” Reiki with them, rather than “doing” Reiki TO them, the better responses you will have. Reiki is a way to heal quickly and deeply. 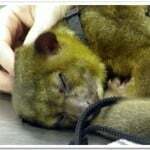 Really it’s an amazing gift to be able to offer Reiki to these animals! 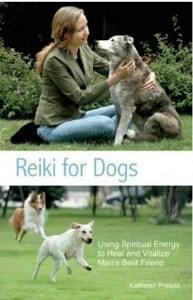 Do all animals respond positively to Reiki? Some animals are more open than others to the connection. And some animals heal more quickly than others. It’s hard to say the “why” of it all, but I always find that Reiki creates some kind of healing shift towards balance in each animal, although it might not be where we expected it. Reiki always manages to find the origin of the issue and go straight there! Is the Reiki always done on site or do the practitioners do distance as well? Both. Often our members will do Reiki once a week on-site and then follow up several times during the week with distant treatments. How can other shelters get involved? Shelters can contact us at info@shelteranimalreikiassociation.org for more information. 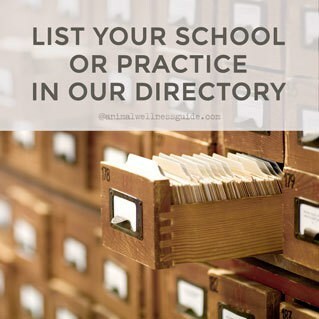 Depending on where they are located we may have practitioners and teachers in their area already. And as funds allow, it is our goal to be able to send our teachers to any shelter that is interested in training for their staff and volunteers. How can other practitioners get involved? So far, we have only been open to my students and students of my students, however, we are currently working on a teleclass that would teach all the basics of our approach, so that any Reiki practitioner who is interested in joining SARA would be able to take that training and then join SARA. We hope to launch that new teleclass within the next few months. Are you “marketing” SARA at all? Not really, it is mostly word of mouth. I also try to mention it whenever I have the opportunity when I write articles, books, do interviews etc. Some of our members have also done a great job in getting word out about SARA to their local press. Are there ways that people who don’t practice Reiki can help support SARA? Yes, we have a level of membership called “supporter” and at this level, anyone can join. The basic supporter level is $25/year. And we are currently putting together a community suppor ter level which will be $50/year and include access to the monthly calls and guest speakers. We expect to launch this new “community” level of membership within the next couple of months. What’s next, what are the plans for the future? We would like to continue to expand SARA to more and more places around the world. 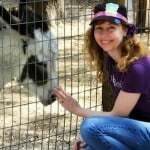 Along those lines, I am traveling to England to teach some Animal Reiki classes in September 2012 at one of our SARA organizations: Remus Memorial Horse Sanctuary. In addition, my new book, Reiki for Dogs is coming out, and I hope that it will also bring more awareness to people about SARA so that we can continue to grow our membership and get Reiki out there to more and more homeless and sanctuary animals! 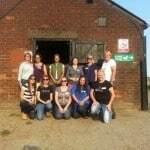 Remus Memorial Horse Sanctuary in Ingatestone, Essex, has been a SARA shelter since 2009, thanks to the work of Caroline Thomas, one of the founding members of SARA and their Regional Manager for Europe (and one of our expert contributors here at Animal Wellness Guide). 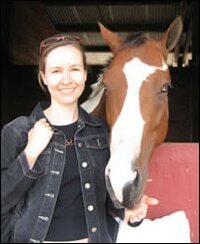 Caroline is also the founder of Hoof and Paw as well as a Reiki master, Animal PsychAromatica and Animal Bach Flower practitioner (she was the featured practitioner in the Bach Flower Therapy post here on AWG, as well as in the post about Offering Reiki to Sheep, both of which take place at Remus). When Caroline started doing Reiki at the sanctuary, the staff had not heard of it before, and were a bit skeptical and wary of holistic practitioners based on some past (not totally positive) experiences. But after seeing the change in the animals, she earned their respect, and today, Caroline both practices and teaches Reiki, as well as Bach Flower Therapy and Vibrational Essences for animals, at Remus. Caroline, how did you get involved with SARA? Is this the first program of its kind in the UK? It is the first program of its kind and costs nothing to the Sanctuary. The staff are taught Animal Reiki for free, so they can offer Reiki to the animals on a daily basis if the animals need it. I am available at Remus to support the staff every other weekend and since August of 2011, I have been teaching the public Reiki from the SARA manual. This is taught at Remus and I donate 50% of the cost back to Remus, any extra income is invaluable to the Sanctuary. I support my students for free in their daily Reiki Practice by offering a class every two months for them to practice their Japanese Meditations, to discuss the precepts (at the moment we are working on “for today I will not anger”, and we will be spending this whole year working on this one precept.) 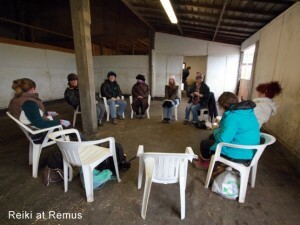 I then offer a Reiju and, best of all, we all then go to offer Reiki to the animals. It is a truly wonderful afternoon. I have to ask – what is a Reiju? It is a spiritual blessing and is the same as an attunement but without all of the ritual. In Western Reiki a student only receives an attunement at each level. However when Mikao Usui met his students he would offer them a Reiju, as it would help them in their Reiki Practice. It was something that he shared freely and for the benefit of his students. Reiki is not just about healing, it is about ‘being Reiki’ connecting to the ‘great white light’ that is within us. The Japanese meditations help us to connect to the ‘Hara’ which is the energy centre within all of us. Having a daily Reiki practice of meditation and the Precepts is very much part of the roots of Japanese Reiki. SARA practices the traditional Japanese Reiki as taught by the International House of Reiki. How has SARA been received in the UK? 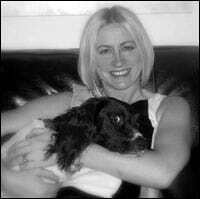 Sue at Remus loves how professional SARA is and how we record all treatments. She has seen the amazing results from Reiki and also how it can support animals who are being put to sleep (this is such a difficult time for everyone). Do you work with any other sanctuaries or shelters? At the moment there is only Remus, but I do have a SARA Reiki Practitioner whom I have taught, working very closely with the Dog’s Trust in Glasgow, Scotland. Are you actively recruiting other Reiki practitioners and/or sanctuaries to participate? I think that this is such an amazing opportunity for Reiki Practitioners and shelters. I feel that at the moment, I am working with Remus to be a Reiki Sanctuary of “excellence” – I am putting roots down to make it the best Reiki Sanctuary it can be. I would love to hear from and support other Reiki Practitioners and Sanctuaries in any way I can. 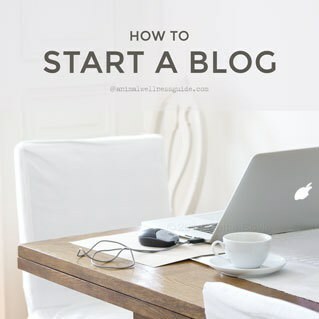 How can people help spread the word? SARA is all about the animals, I would love people to spread the word, as it benefits the animals and Sanctuary staff. Understanding the SARA values and their ethos has made it very easy for me to spread the word. I think if people go on the SARA website and get the handbook, they could spread the word by volunteering at their local Sanctuary and sharing the SARA ethos with them. What’s next for SARA in Europe? Do you see this expanding to other countries as well? I would love SARA to expand to different countries but I think it important for Reiki Practitioners to train with a SARA teacher first. This allows them to truly understand what SARA is all about. I am very passionate that Remus should be a Reiki Sanctuary of excellence, and the SARA Practitioners I teach to be the best animal Reiki Practitioners they can be. Working on our own Reiki practice before working with the animals is very important. I hope that Remus in the future will be a centre for Reiki students to come from all over Europe, so they can learn all about the SARA ethos and bring this to other Rescue Centres. To learn more about SARA, participating shelters, upcoming classes, etc., please visit their website http://www.shelteranimalreikiassociation.org/. To find out more about Reiki courses taught by Kathleen Prasad, as well as the teleclasses mentioned above, go to Animal Reiki Source, and for Caroline Thomas’ animal Reiki classes, go to Hoof and Paw. Their Level 1 Reiki classes are also listed on the Classes & Workshops lists here on AWG.